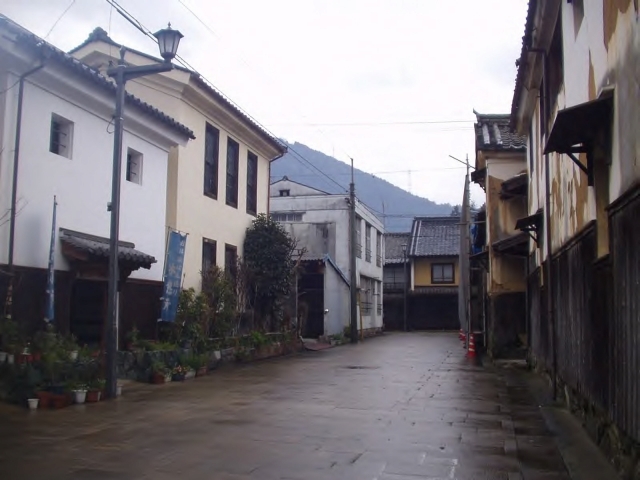 The picture above shows the alley which is the boundary line between merchant area and the area in which there were many samurai residences. This area was used for locations for the famous TV drama, “Ohana-han”. The picture above shows the Hijikawa-River from “Garyu-Sanso” ( the residence, built in the Meiji period). The premises measure 3000 tsubo (1 Tsubo=3.3?). 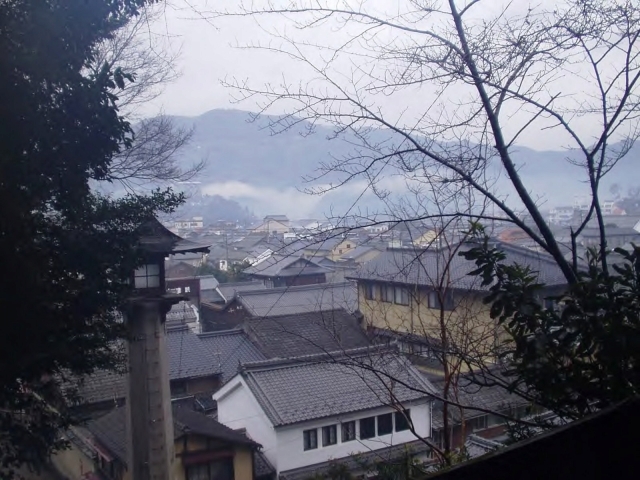 Hijikawa-River is famous for the morning fog,called “Hijikawa-Oroshi”. 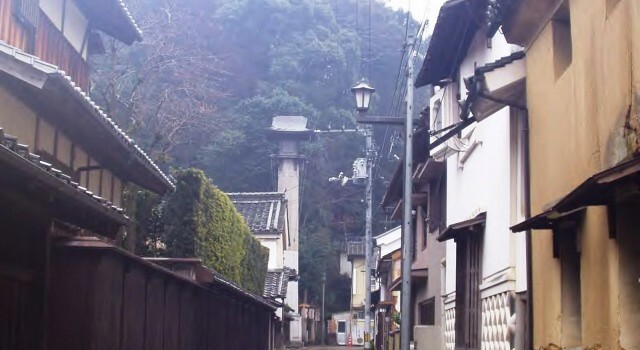 Ozu-City is the old castle town (Ozu-castle), which is located along the ” Hijikawa”-River. 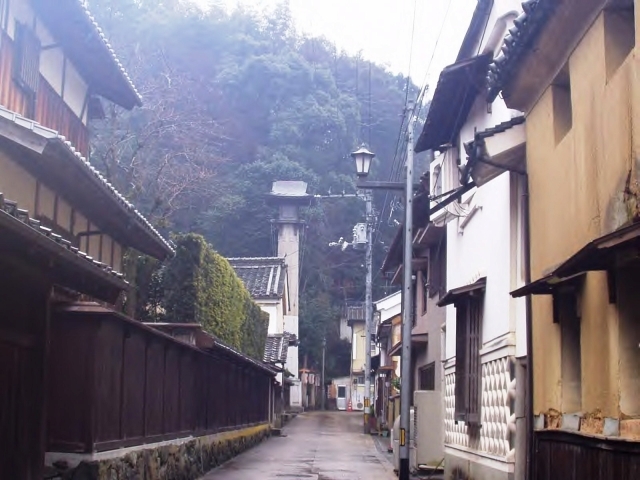 Ozu　is well known for the rows of houses built in the Edo and Meiji Period. 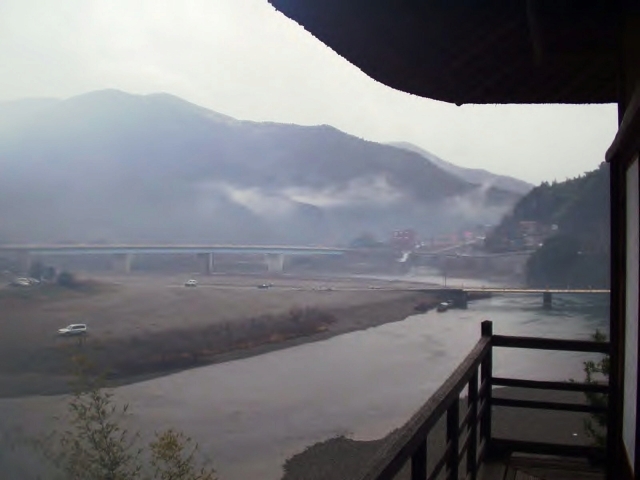 Ukai held in the Hiji-kawa River,and a morning mist rises over the river.